This week I am changing my format. I am skipping the step-by-step instructions on how to find metaphors in dreams. I want to concentrate on other aspects of the dreaming phenomenon. I am going to present a waking dream. For those who may be new to my blog, a waking dream is an experience one has during the waking hours that leaves a deep impression, either because it is unsettling or because it is exceptionally beautiful and gratifying. The common denominator of both experiences is that they leave a lasting impression. We all have those kinds of experiences from time to time, and we remember and relive them for days after the event took place. It is my thesis—repeated many times both on this blog and in my book Always Dreaming—that these experiences are dreams. They have the same metaphoric characteristics as the more traditional dreams we have during sleep. And they deliver the same kinds of important messages, often highlighting and describing the dreamer’s own internal conflicts. Waking dreams do come to us as heartwarming experiences: a surprise visit from a dear friend, an unexpected promotion, an achievement of importance after a long struggle. The trouble with those kinds of events is that we are so busy basking in our elation that we take them completely at face value and forget to look beyond the literal event to the metaphors they are presenting us. For that reason, when “the universe” has an important message to deliver to us, it will often give us the opposite kind of experience: one that is unpleasant. It seems to be part of human nature that we need a jolt in order to address inconsistencies in our thinking or behavior patterns. I relate the following incident—a waking dream—not because I am trying to be morbid or unpleasant, but because these kinds of events are part of life, and we experience them because they are trying to teach us something. Please know that this event—which happened to a young man—has a happy ending. Well, I have my own car, so it’s not as if I can’t get myself places. 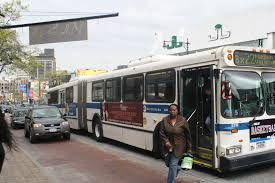 But there’s a really convenient shopping district right close to where I live, and I like to take the bus because it avoids all the parking hassles. Anyway, I was doing some shopping for my girlfriend’s birthday and had just gotten on the bus to come home. We were getting to my stop so I rang the bell, and before the bus stopped completely, I got up and started walking down the aisle to exit. Both my arms were full of packages. Just before the bus stopped completely, the driver had to brake suddenly. I went flying and hit my head on the box where you insert your payment. I was knocked out cold. They had to call the paramedics and everything. I had a concussion.